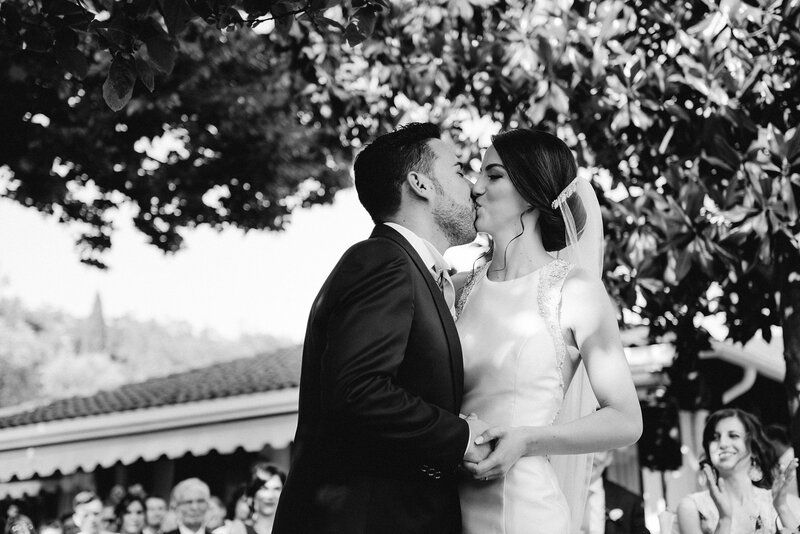 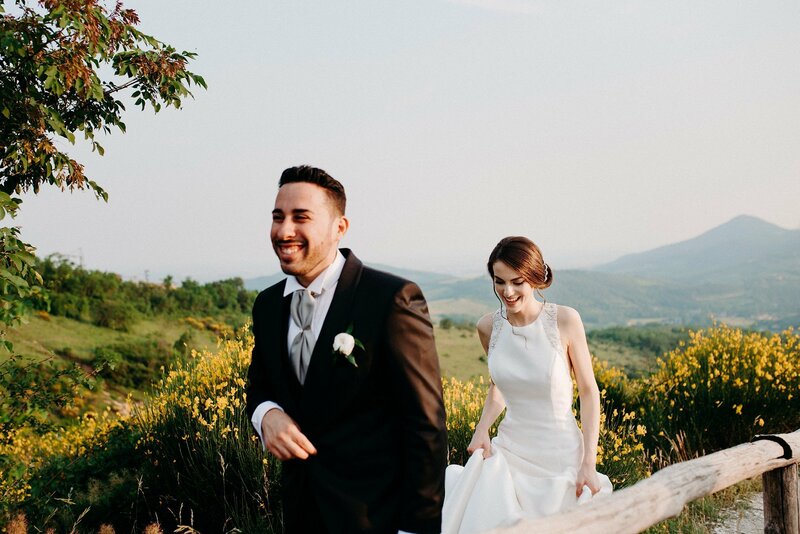 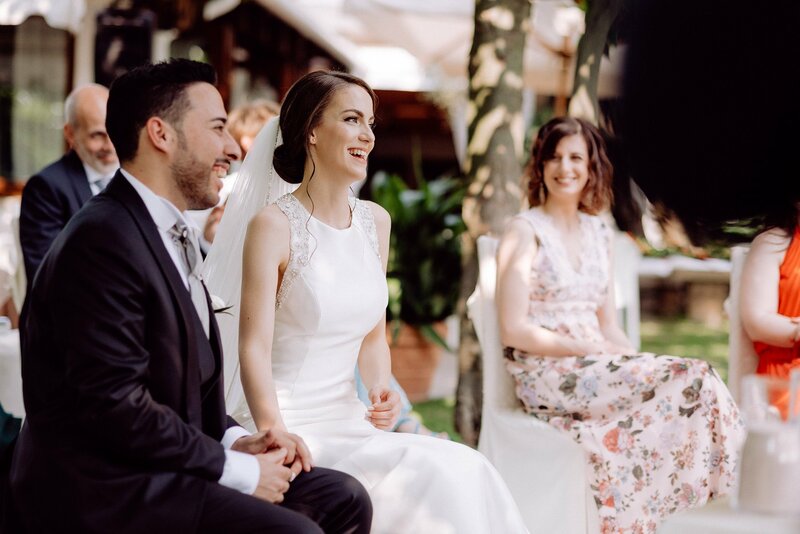 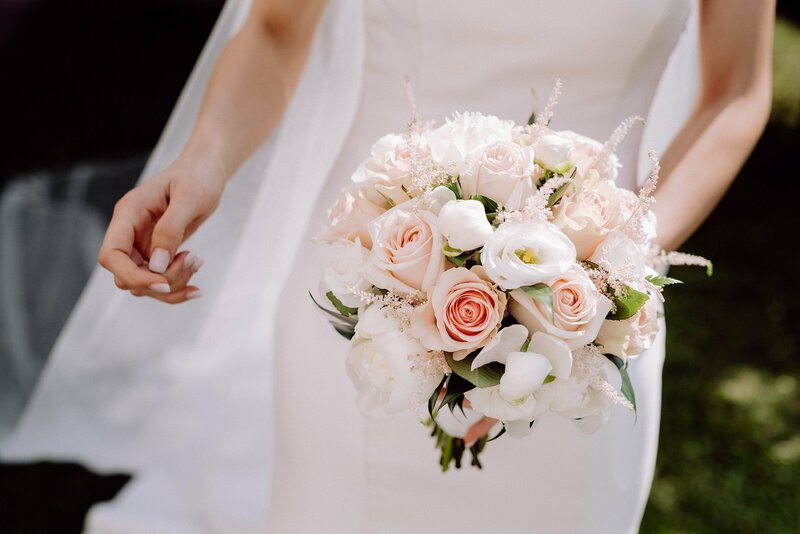 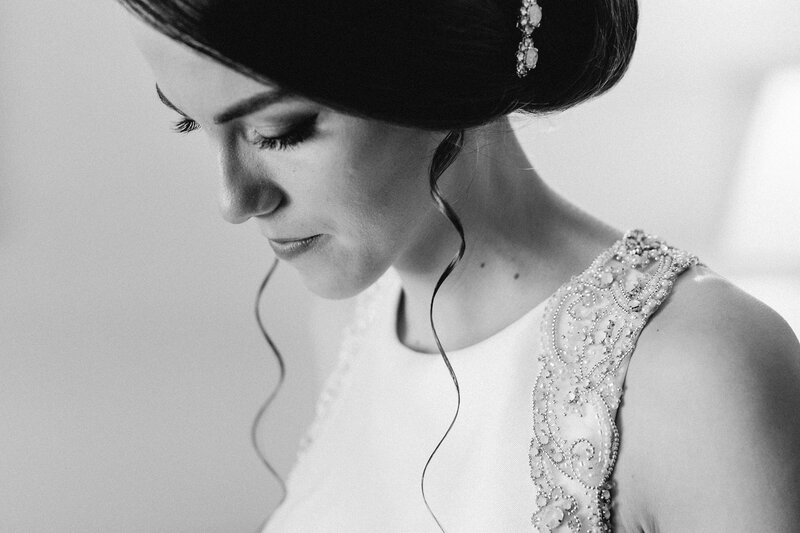 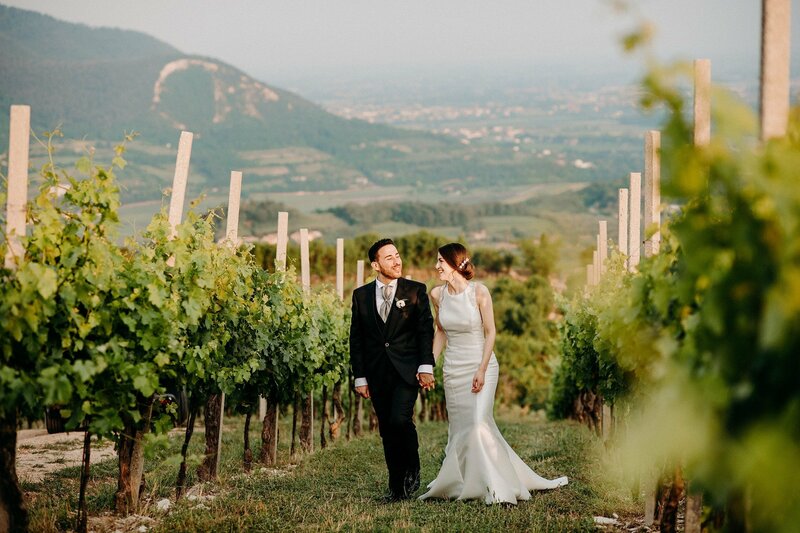 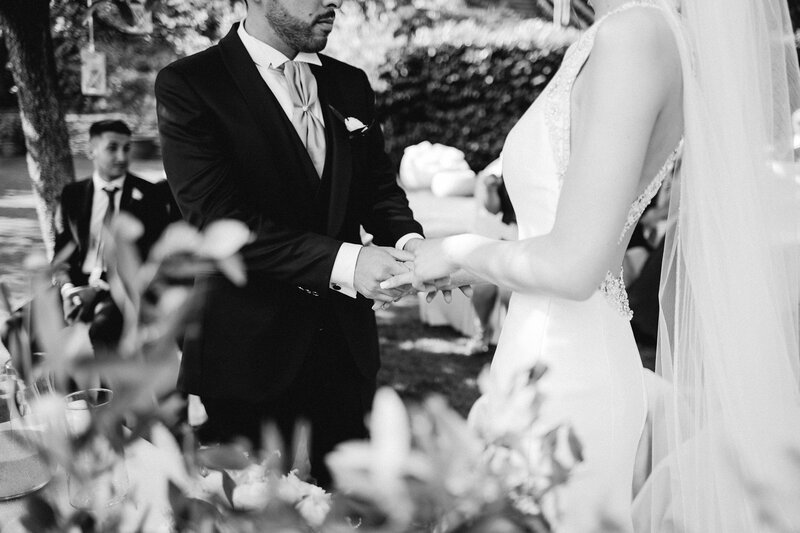 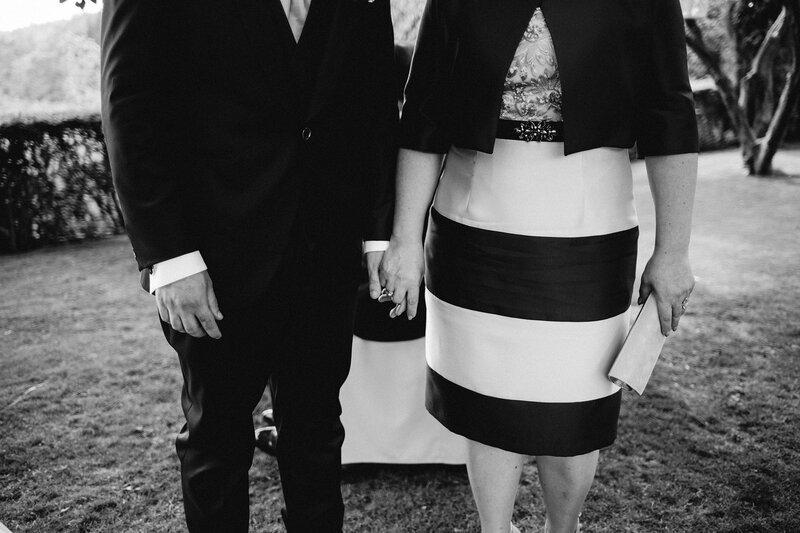 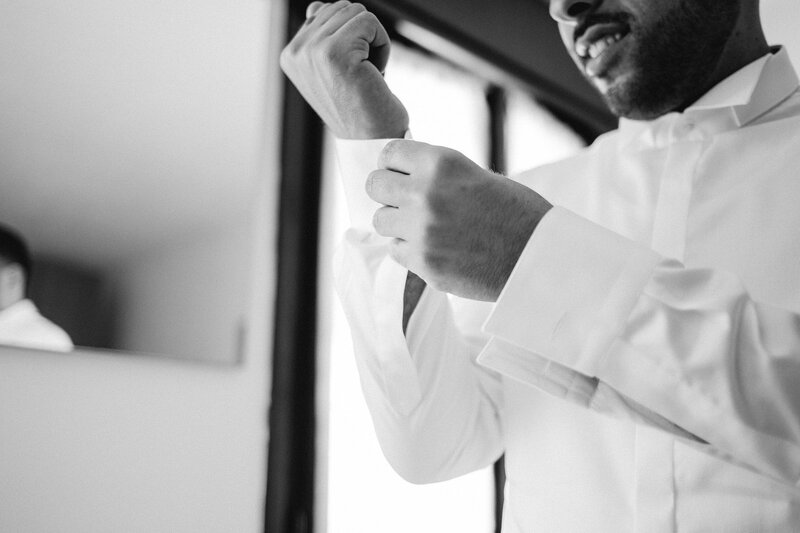 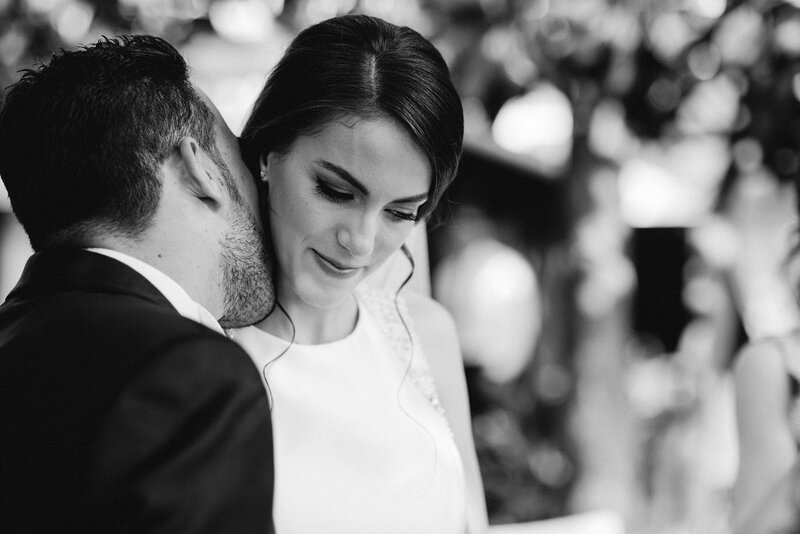 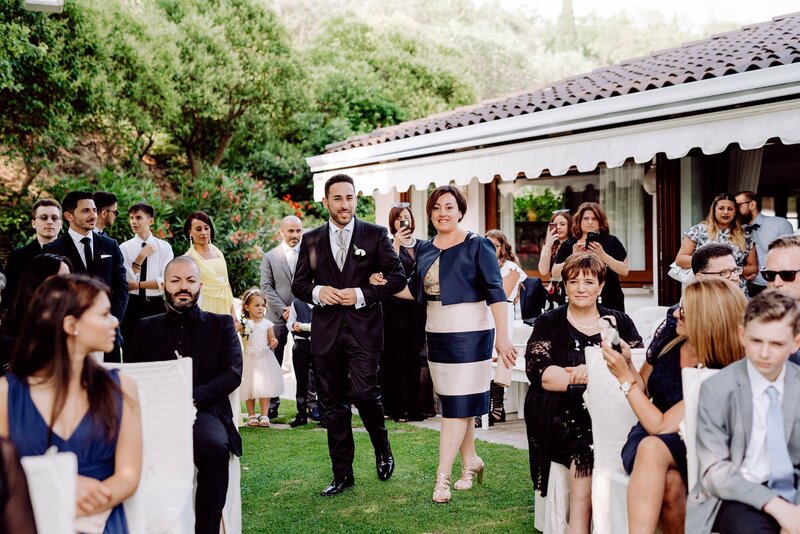 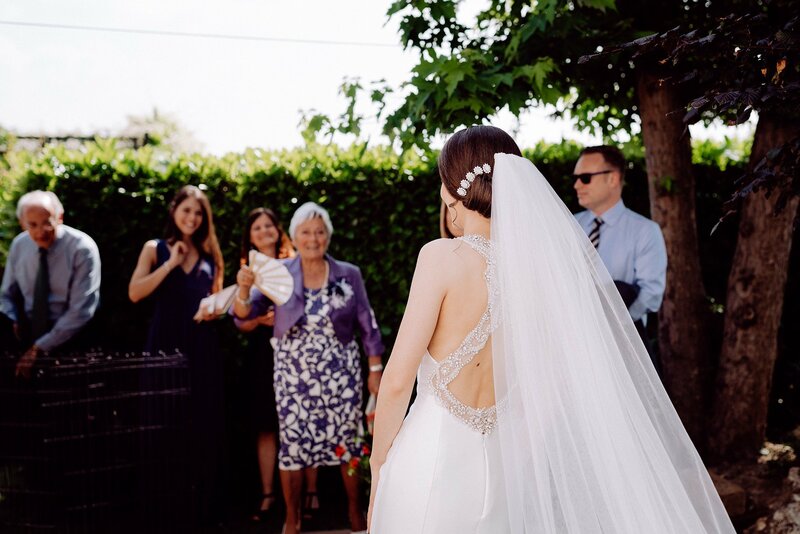 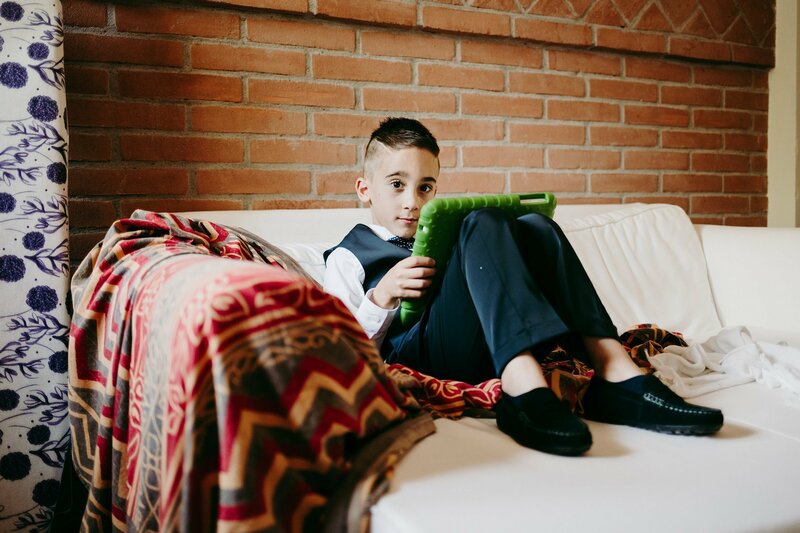 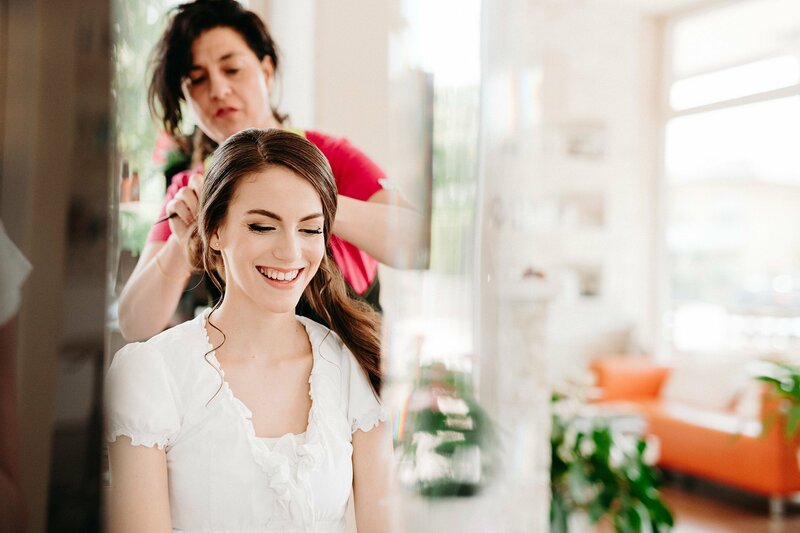 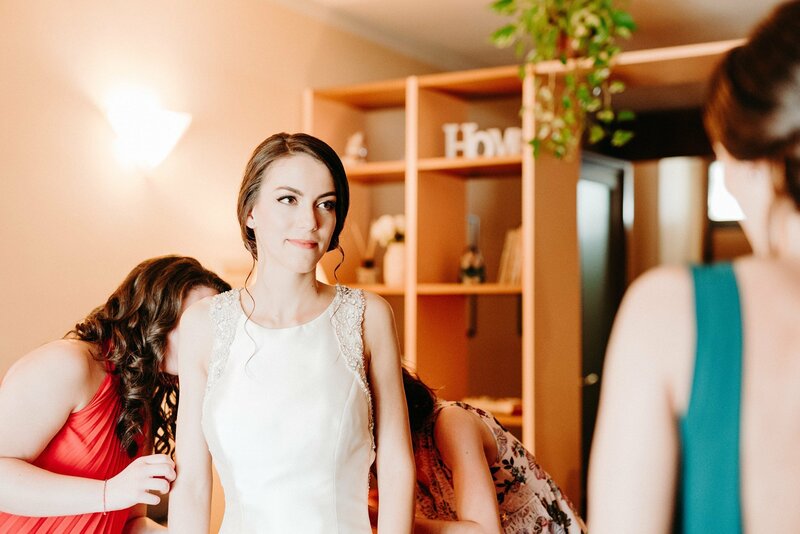 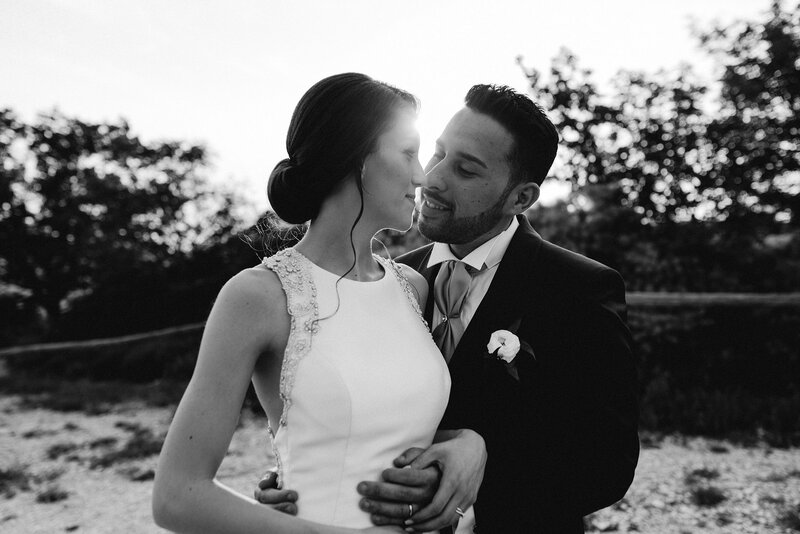 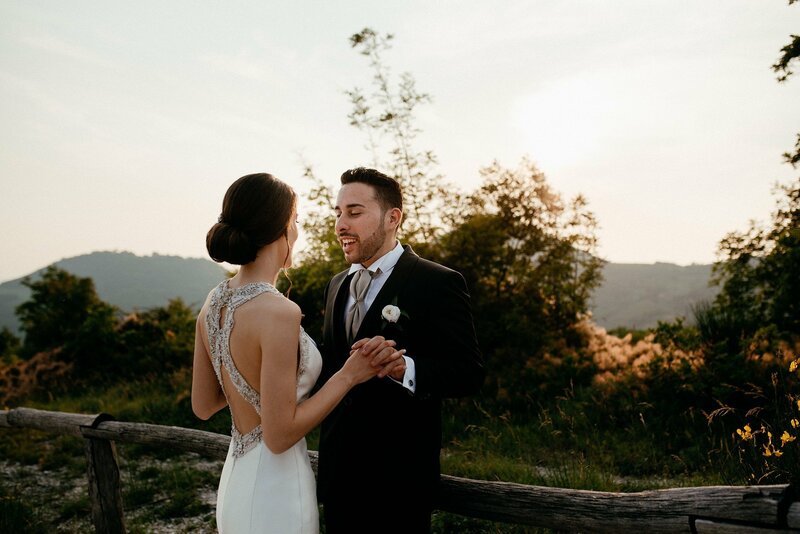 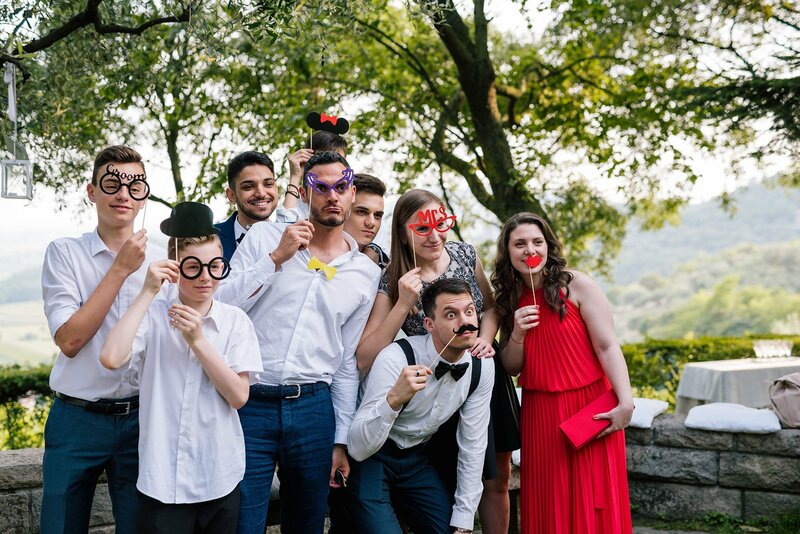 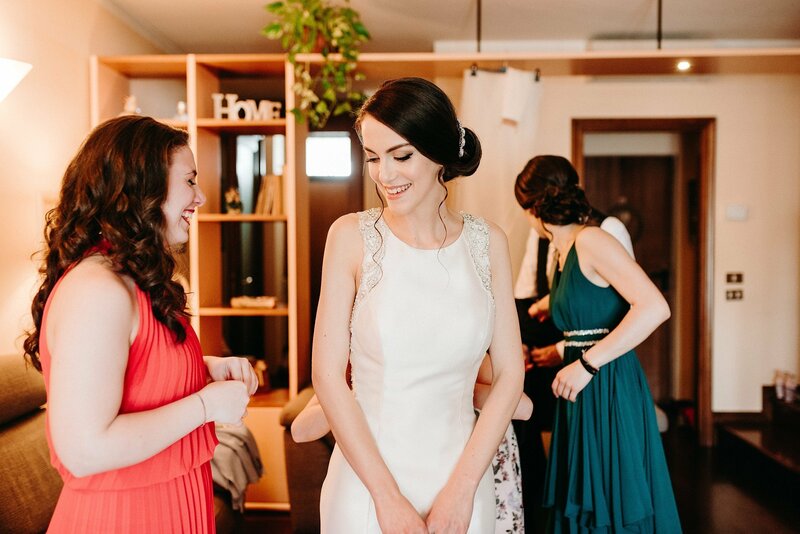 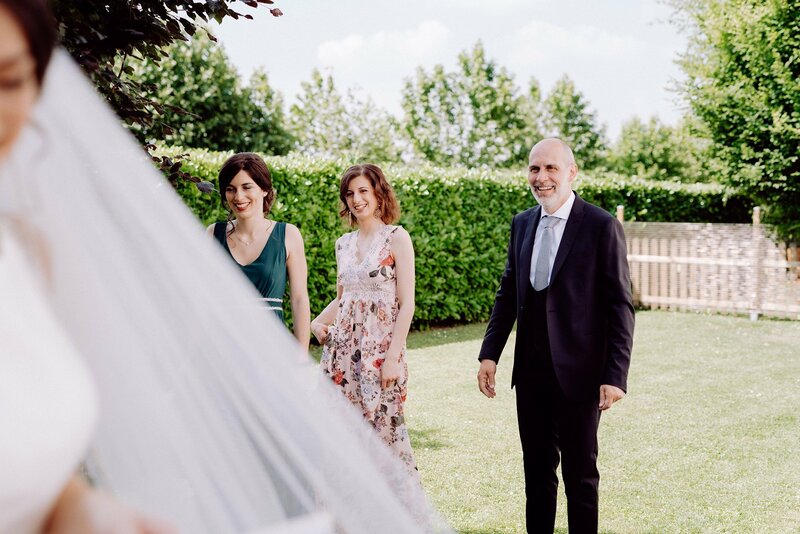 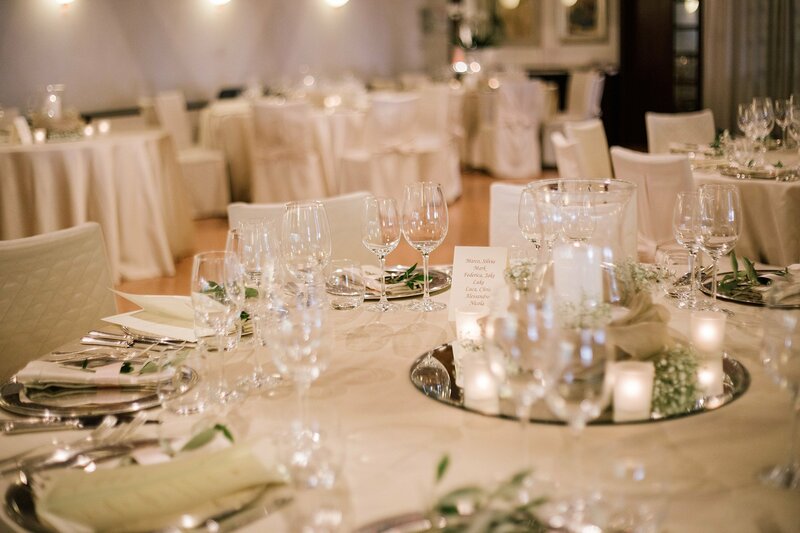 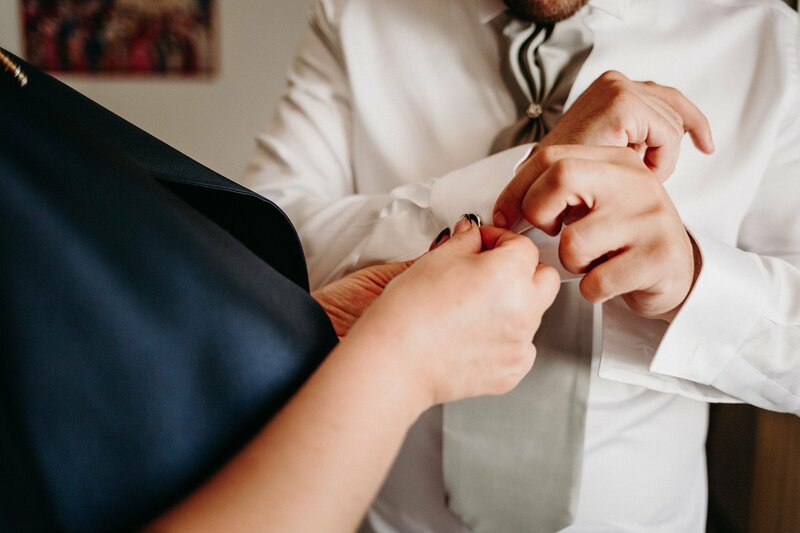 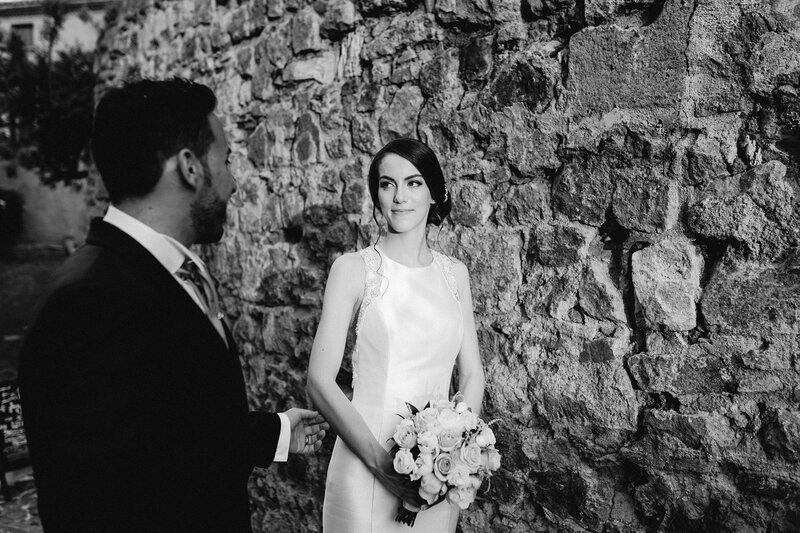 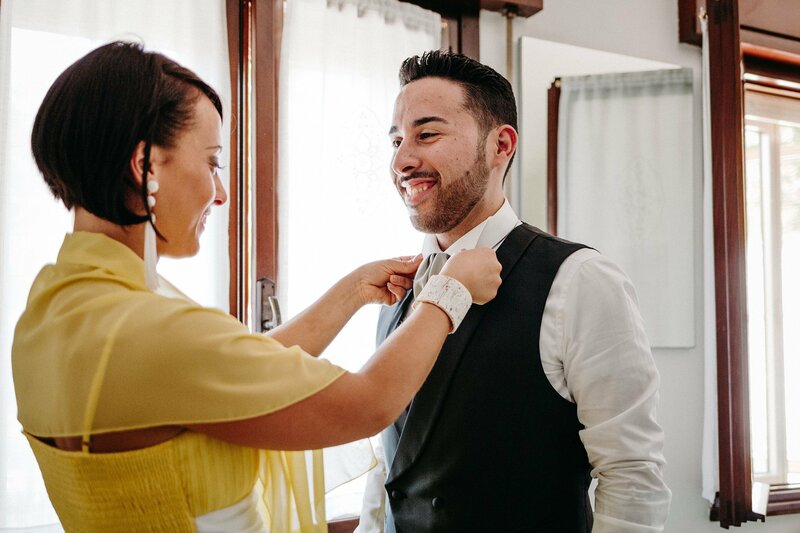 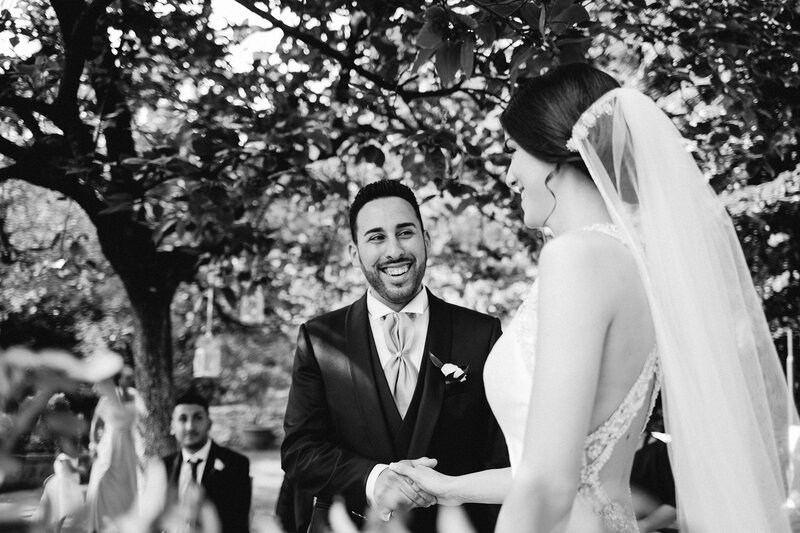 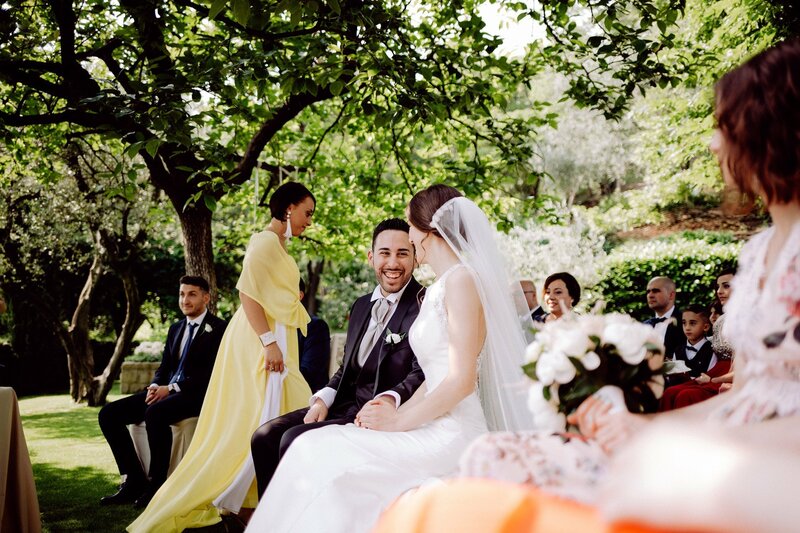 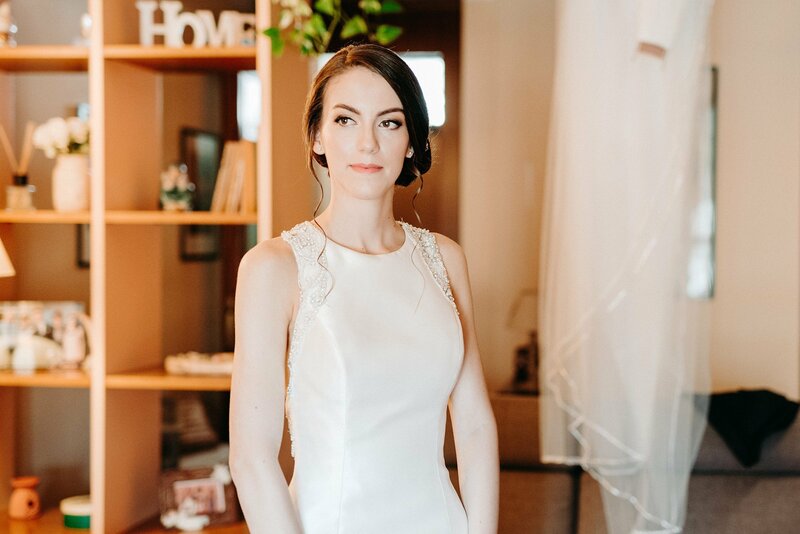 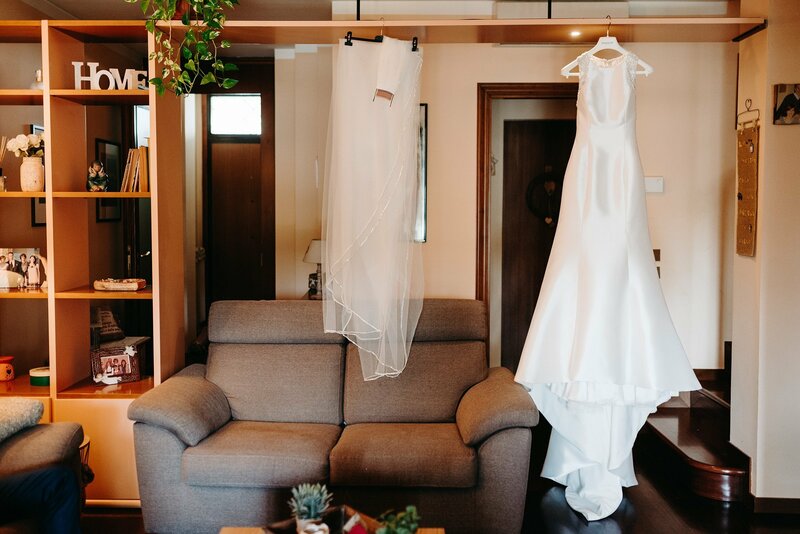 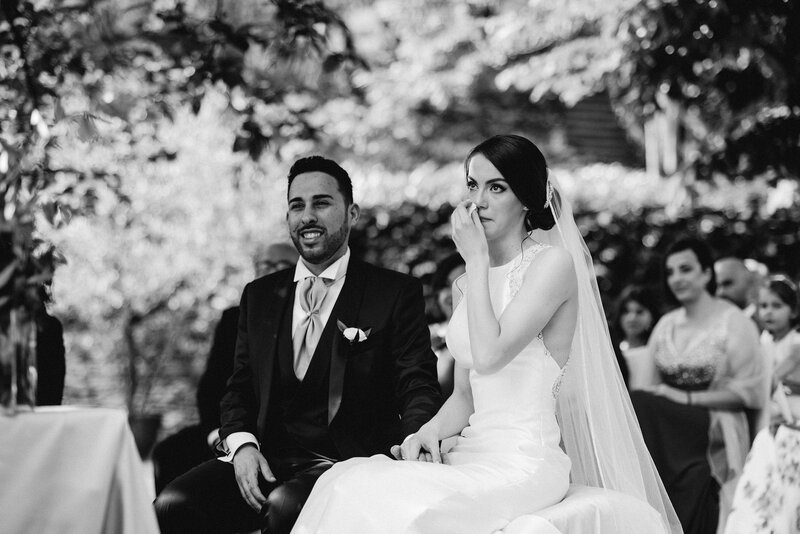 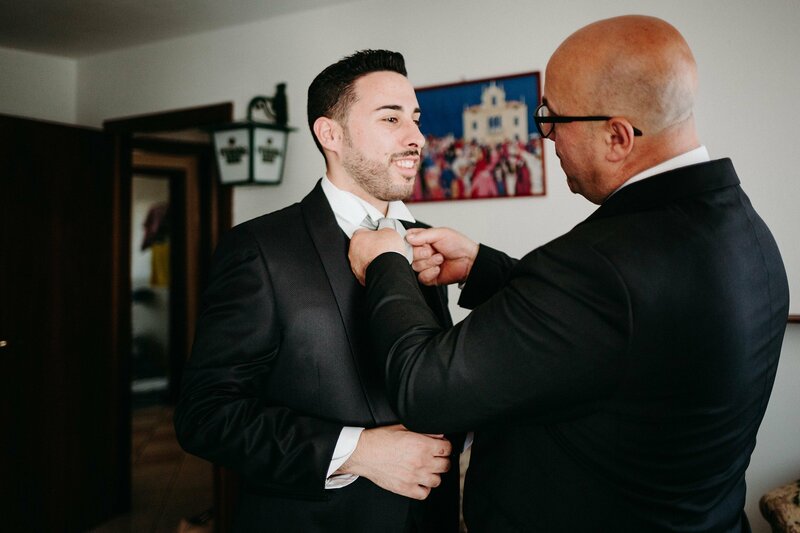 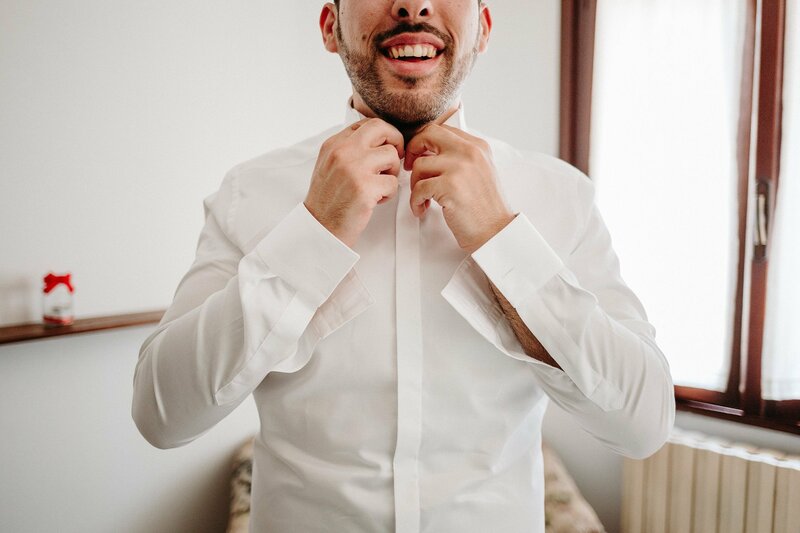 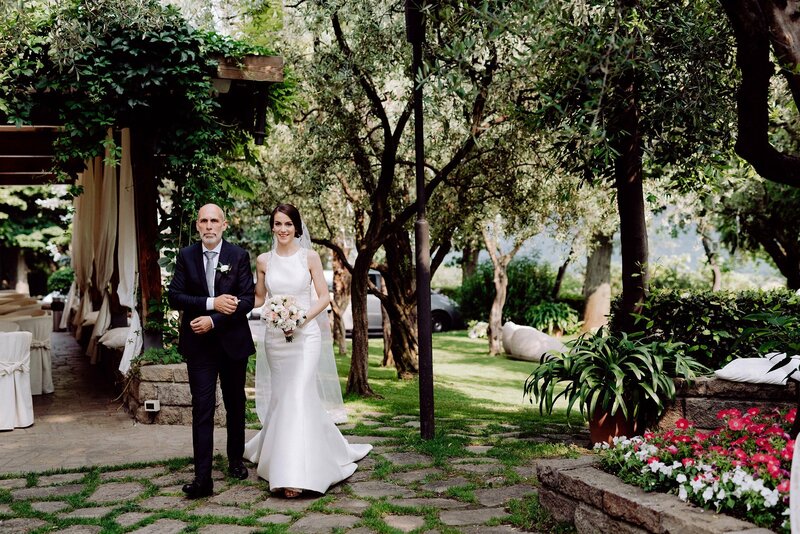 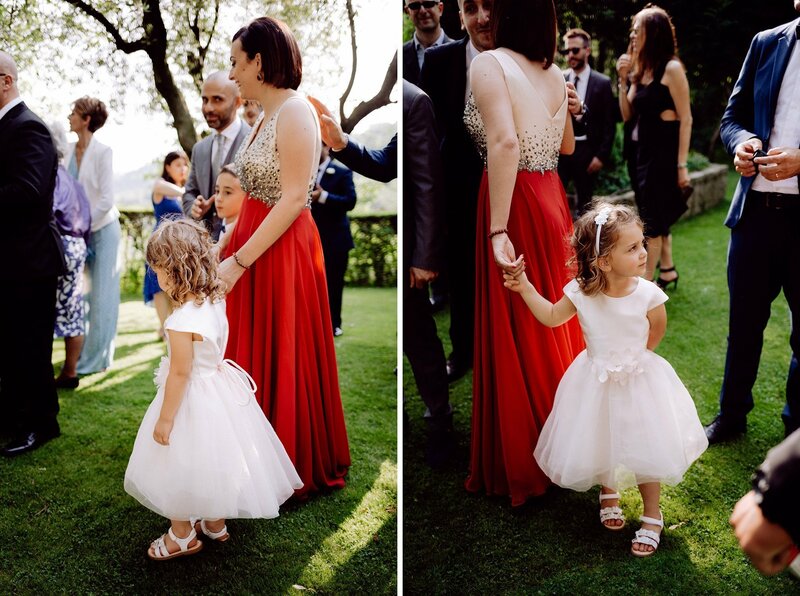 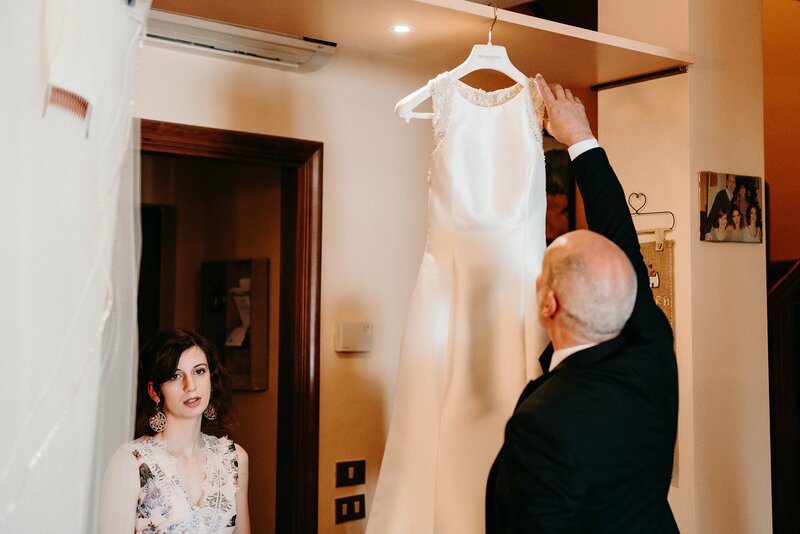 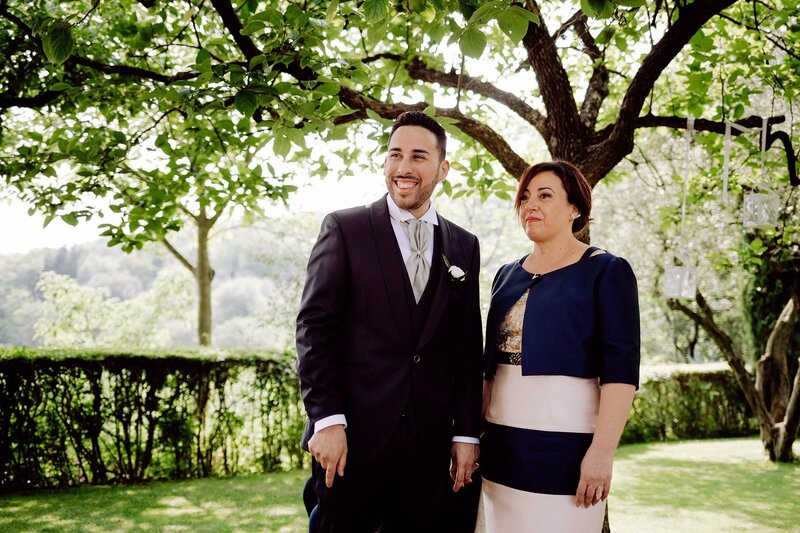 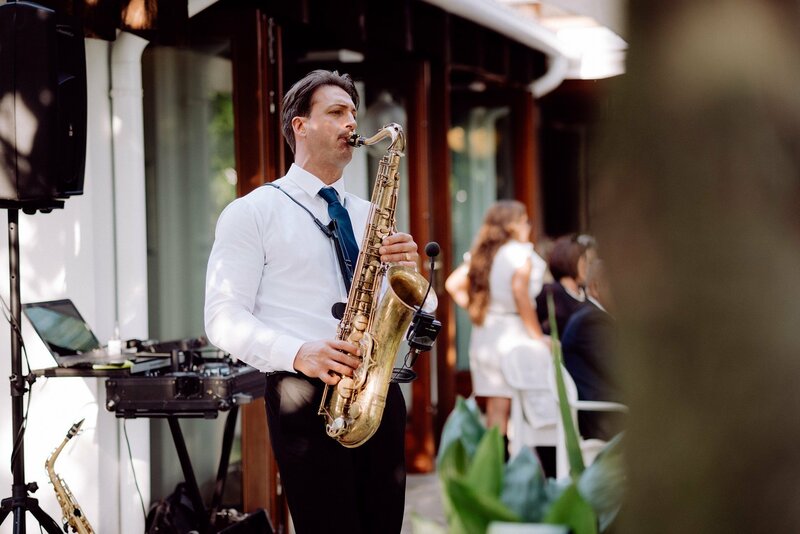 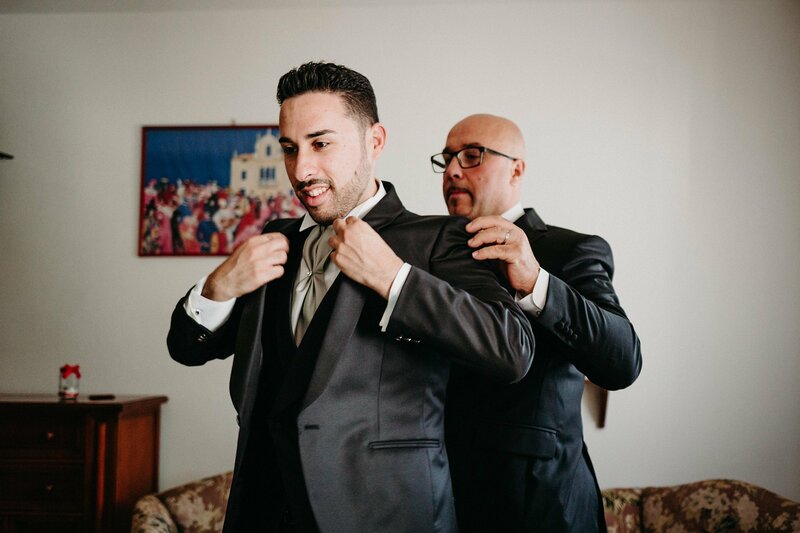 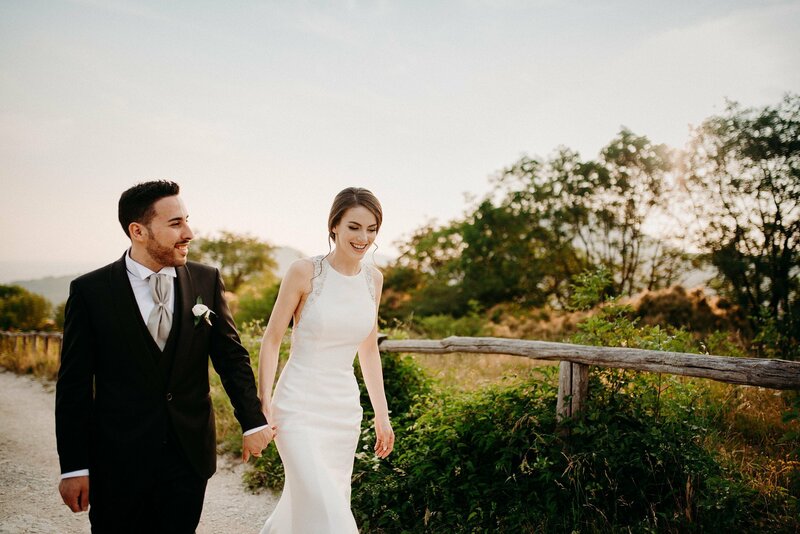 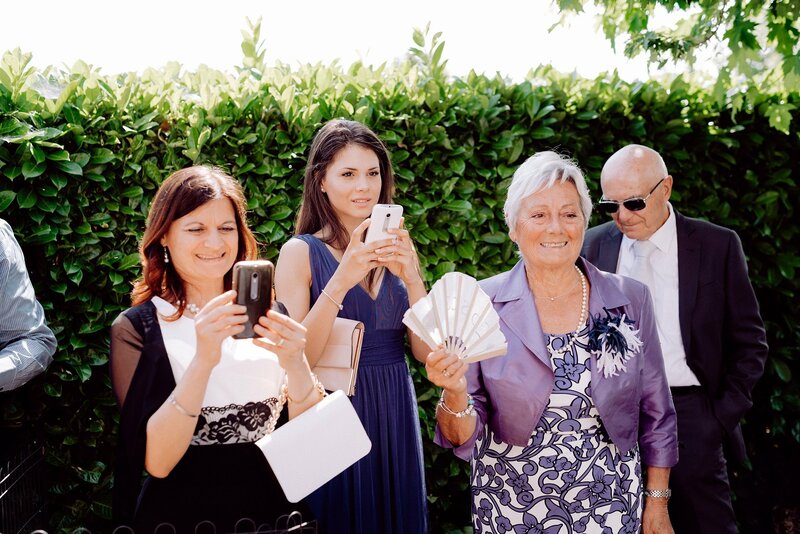 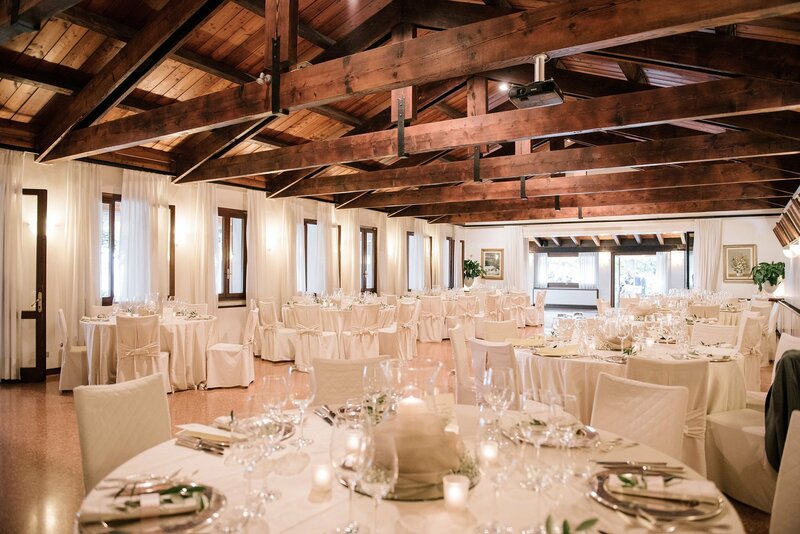 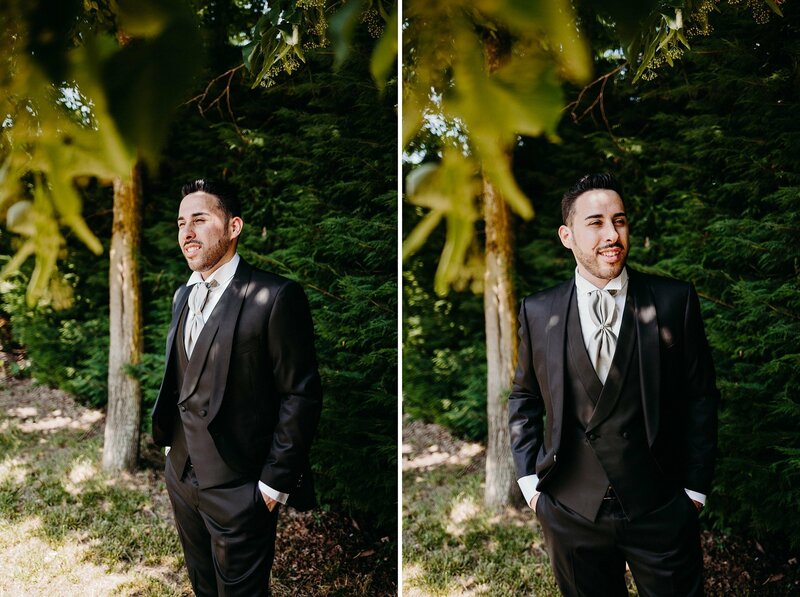 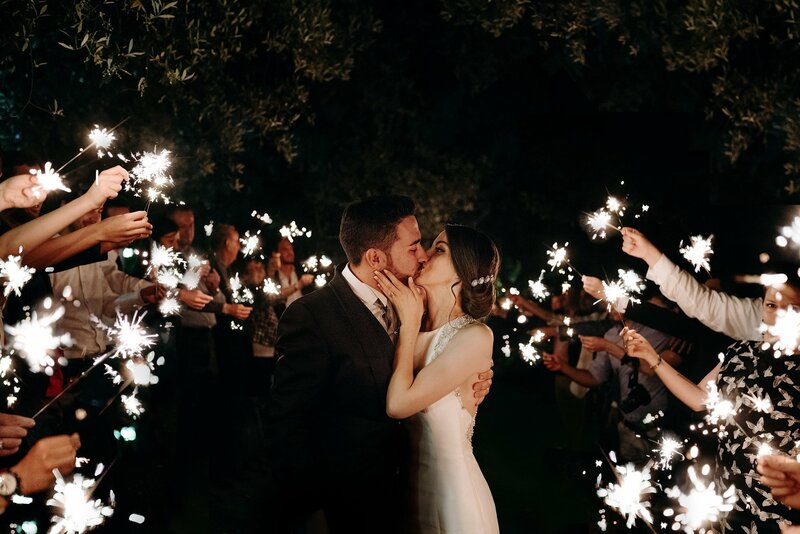 This wedding in Arquja Petrarca has been the first of this season and it was memorable. 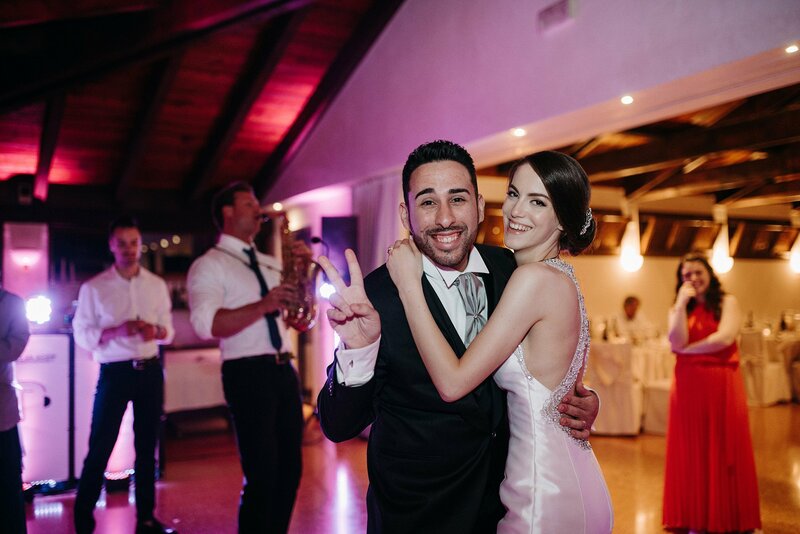 The first time I met Elena and Giobbe I couldn’t help but to notice how shy she was compared to Giobbe’s enthusiasm. 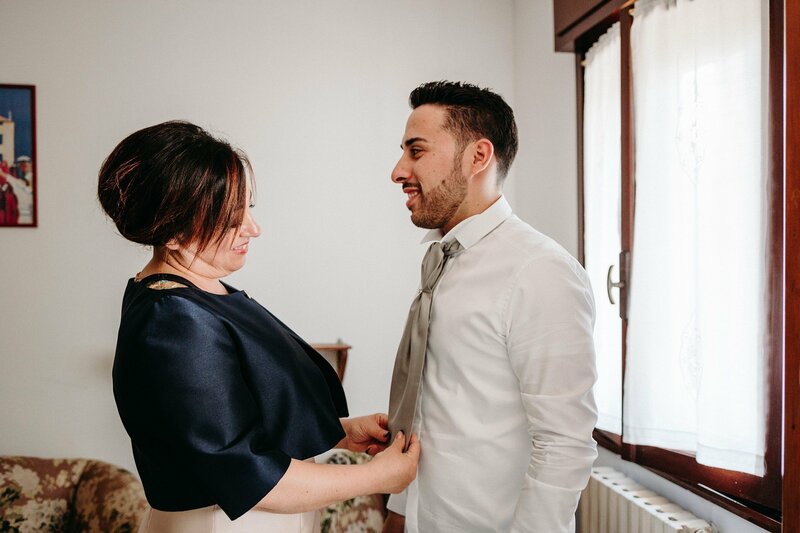 They’re a very young couple and speaking about themselves they told me about their story and the marriage proposal Giobbe announced during his sister’s wedding, one year before. 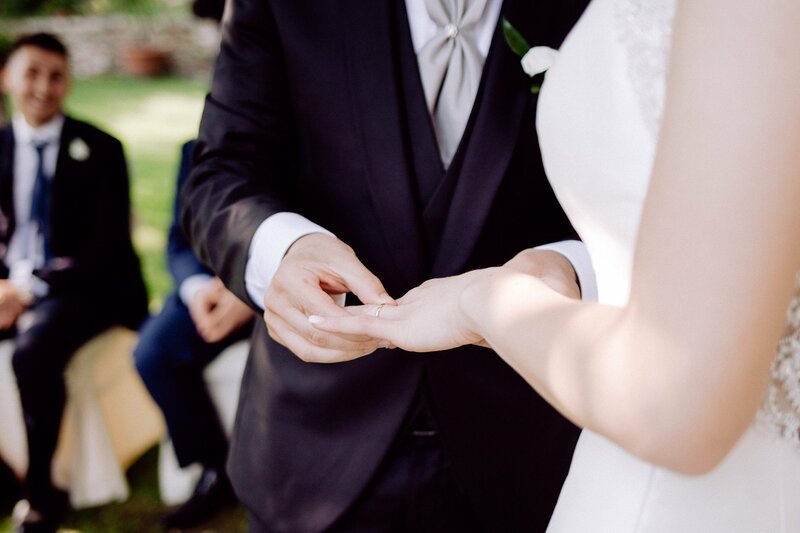 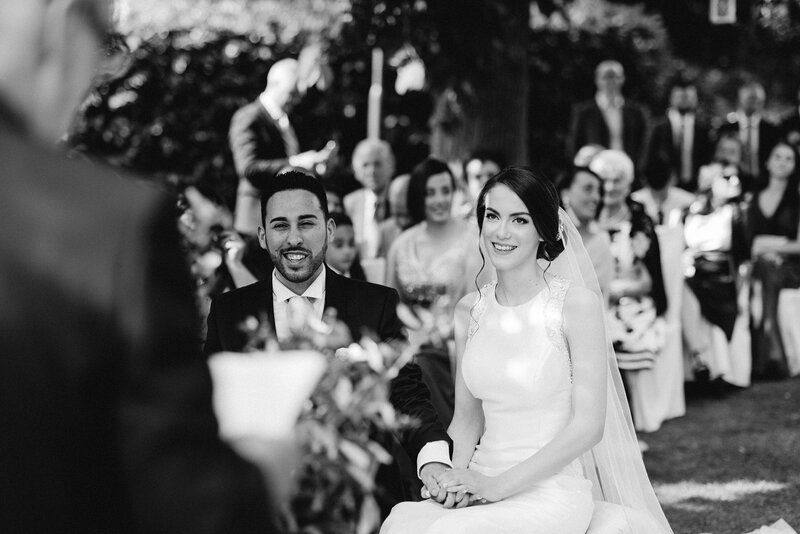 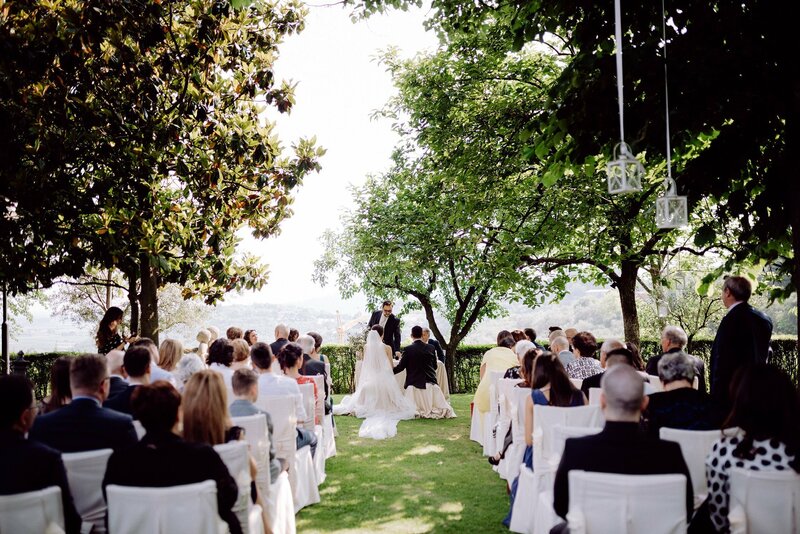 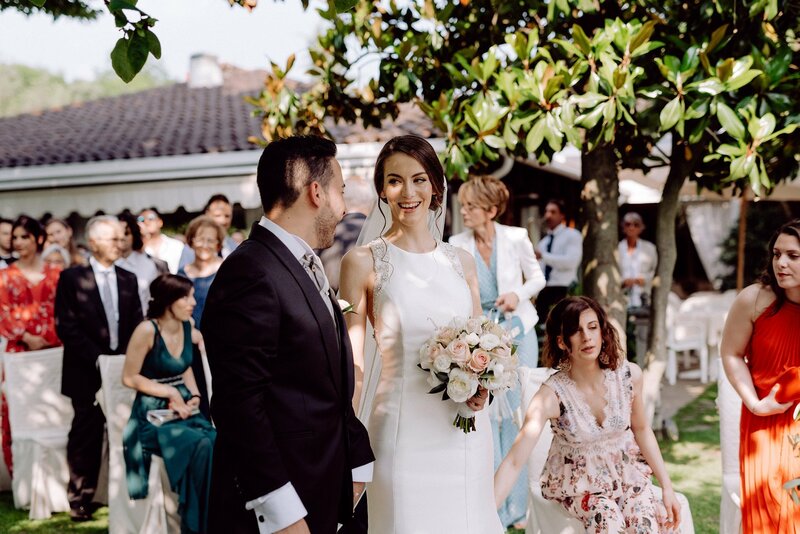 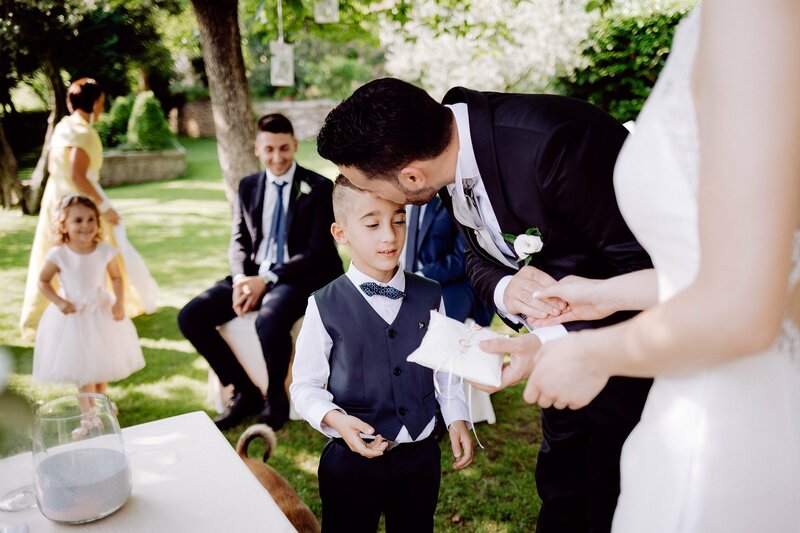 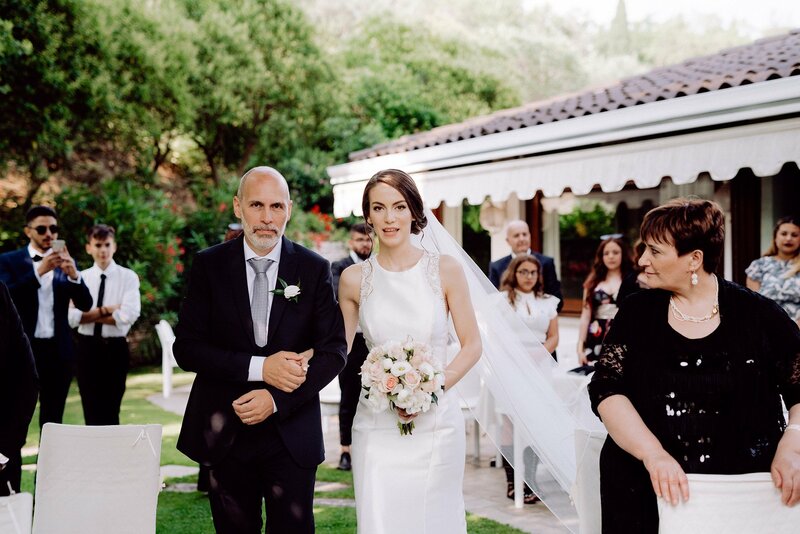 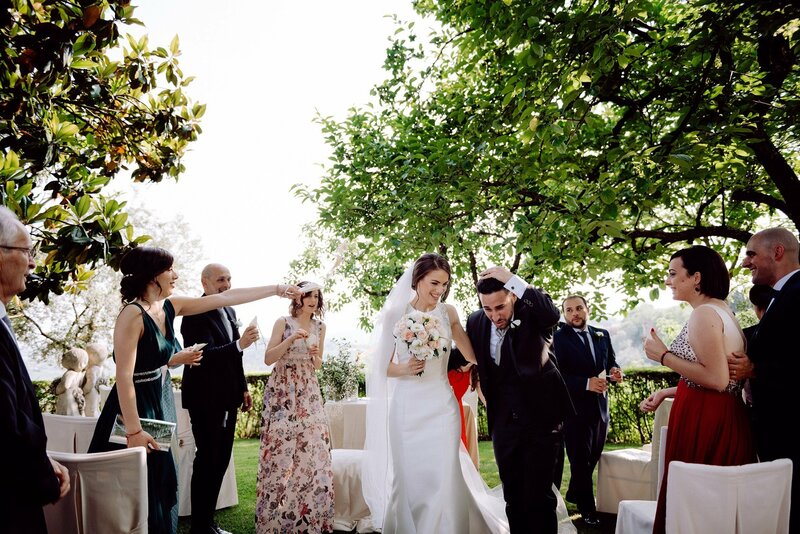 The civil ceremony took place in Arqua Petrarca in “La montanella” garden. 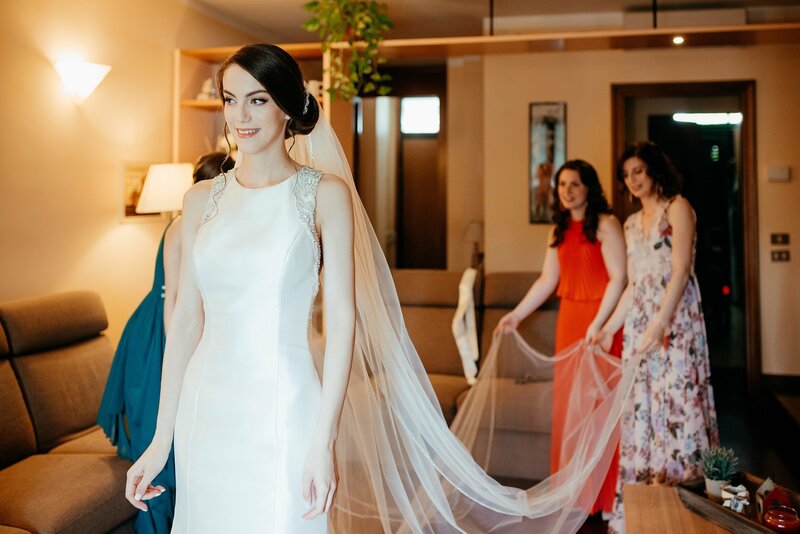 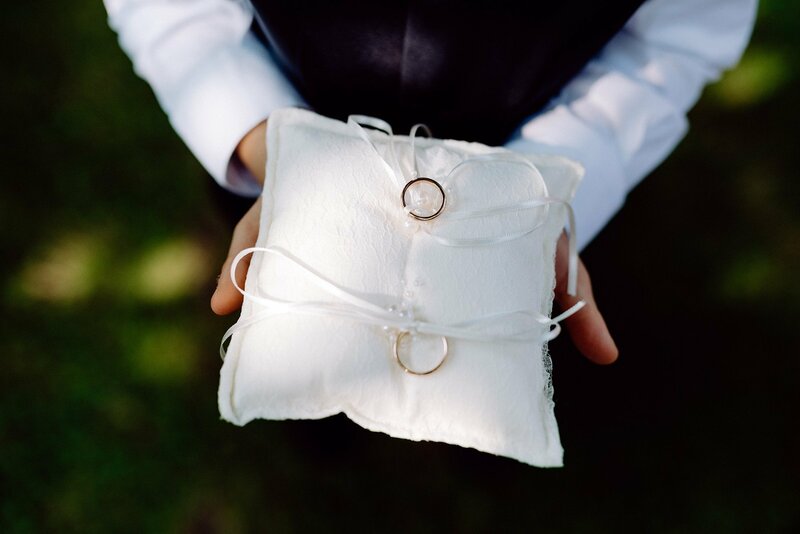 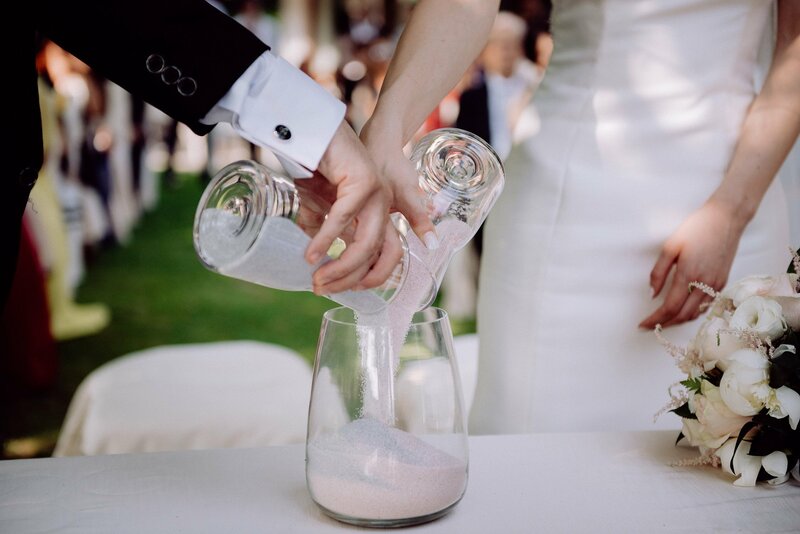 They exchanged vows in front of their friends and relatives, and I was certainly impressed looking at the “sand ritual” they showed us : they mixed two different type of sand with two different colours, representing each shape in their union. 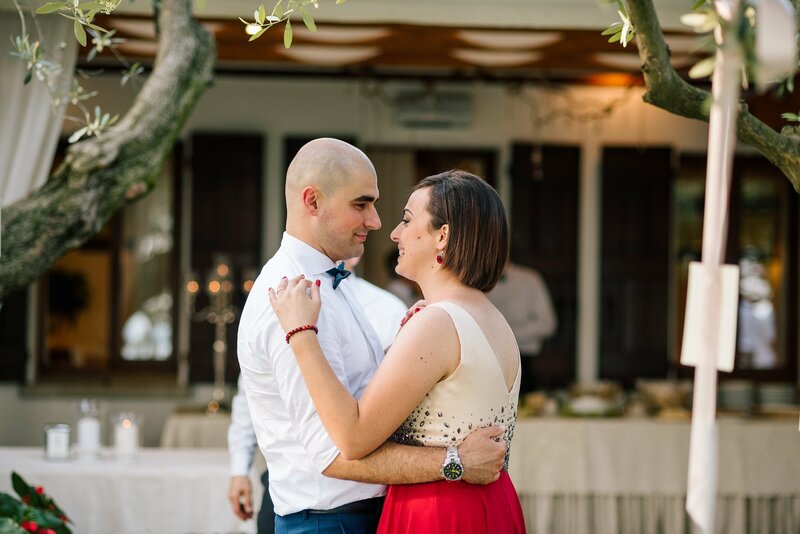 The couple session was fabulous, Elena and Giobbe’s complicity was surely highlighted, and thanks to Giobbe’s jokes Elena was able to forget her shyness for these moments of pure love. 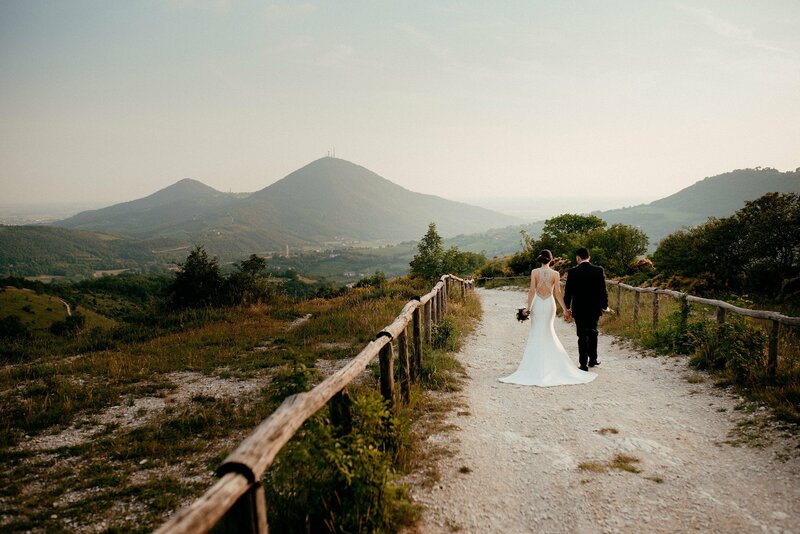 Landascapes near Arqua Petrarca and an amazing sunset countributed to the success of this session, but without any doubt their happiness was the lead. 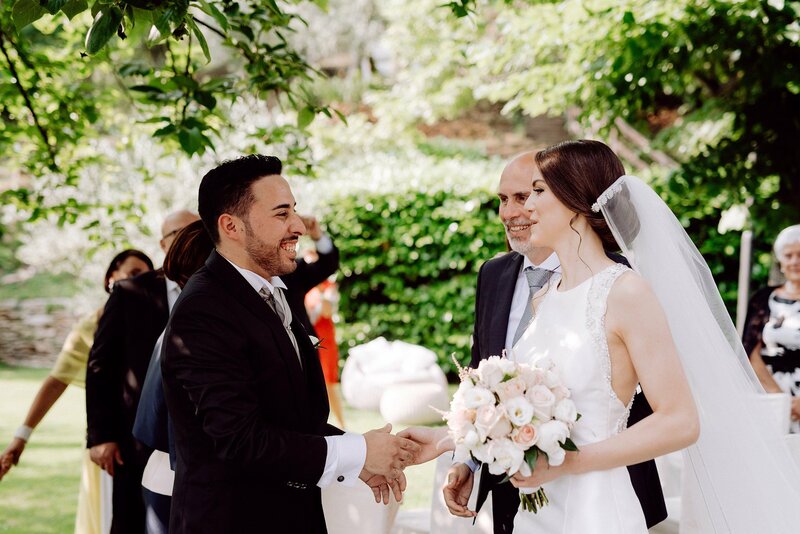 Congratulations for your new life, and thanks you for making me a part of your day!